Well, that sucked. 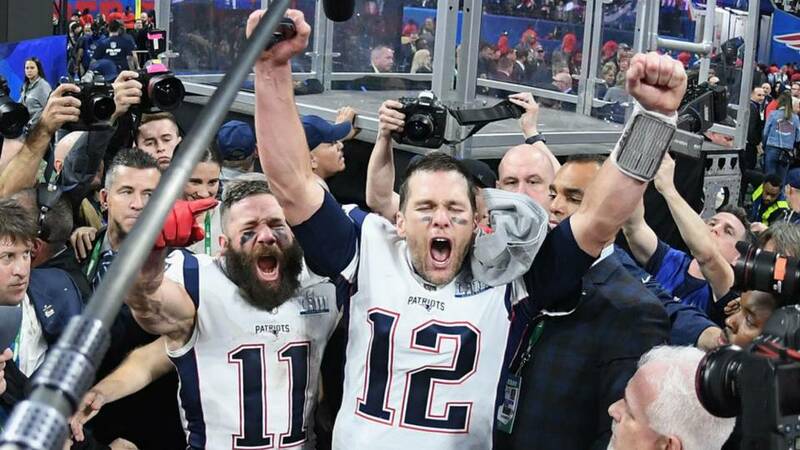 The New England Patriots defeated the Los Angeles Rams 13-3 in an absolute snoozefest to win their whopping sixth title of Bill Belichick-Tom Brady era. Suffice it to say, this isn't a game that anyone is going to remember in a few weeks time, let alone a few years. I mean, seriously. Three effing points?? At least previous Patriot Super Bowls were thrilling games that went down to the wire. This one served as a ringing endorsement for the abolition of the NFL entirely. All that and we didn't even get to bask in the joy of the first ever punter to win Super Bowl MVP. After a season full of smashed offensive records and existential fretting over the future of defense, it's only fitting that Bill Belichick would be there to turn every narrative on its head. The same man who shut down the previously unstoppable Buffalo Bills offenses of the early '90s and the previously unstoppable Rams offense of the Greatest Show on Turf era was there to shut down and embarrass an offense thought to be unstoppable yet again. All those NFL franchises who hired random offensive neophytes this offseason because of a tangential connection to Sean McVay have to be sweating bullets now. And what in the world happened with Todd Gurley? In our preview, we discussed how crucial the matchup of the Rams defensive line against the Patriots offensive line was going to be. Despite the overall excellent defensive performance by LA, the advantage was clearly to New England in the trenches. Aaron Donald and Ndamukong Suh had just one QB hit apiece, with zero sacks. Now Suh and several other expensive contributors hit free agency and appear unlikely to return. At least coordinator Wade Phillips did his part to limit the Patriots offense. Score one for the old guys! A bitter offseason awaits for the Rams. They went all in to try and capture a Super Bowl immediately, and came up wanting. It's easy to sit here now and say this team will surely be back. Yet history says they won't. The Seahawks, a much better team than these Rams during their Super Bowl years, have yet to return since 2014. The Falcons have not come close since their devastating loss two years ago. Imagine telling someone after their heartbreaking Super Bowl loss in 2013 that Jim Harbaugh and Colin Kaepernick would never remotely sniff one again. Nobody can be counted on to go deep into the playoffs year in and year out. Nobody except the Patriots, that is. Stay tuned to WhoReps as we recap the rest of sports world!